Warning: Order now to lock in the current sale price and selection. The price maybe more later. The Process: When you order, your card will be billed for the full amount. You'll get an auto-email the next business day. Fri/Sat/Sunday orders get emails on Monday. Weekends/Holidays not counted as "days". If you have ridden one you know why you want one. If you have ever wanted to try one, this is the best deal at this price point. 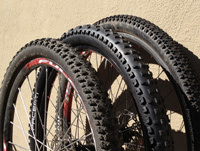 The 27.5 (aka 650B) mountain bike wheel is in the center. The 26" wheel is on the left and the 29er mountain bike wheel on the right. Women's High end performance without breaking the bank. 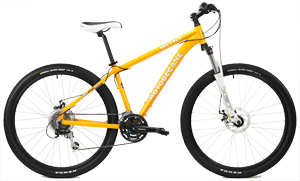 The awesome parts spec includes a long travel Suntour fork with advanced LockOut for max efficiency and adjustable pre-load, competitive high quality 24 Speed Shimano derailleurs and powerful Disc brakes for sure-stops. Comfy Women Specific Saddle. 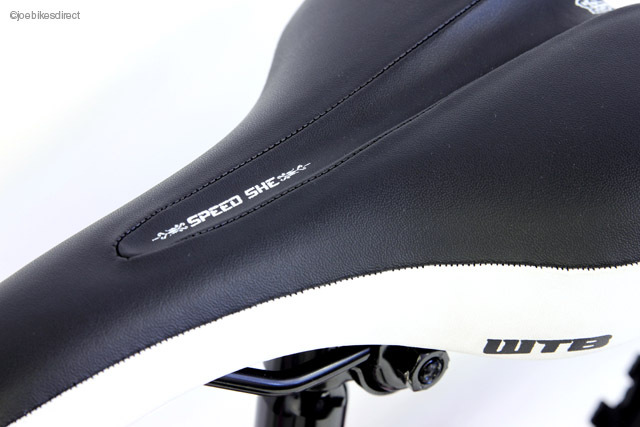 The WTB Speed She saddle is well reviewed and loved by many women cyclists. Color Coordinated. The suspension fork is custom specified and coordinates with the saddle accent and decals - so cute and professional. Equipped with LockOut for max efficiency when you need it and pre-load adjusters to customise comfort and performance. 13" - 5'0" to 5'5"
16" - 5'5" to 5'9"
18" - 5'10 to 6'0"
Between sizes? 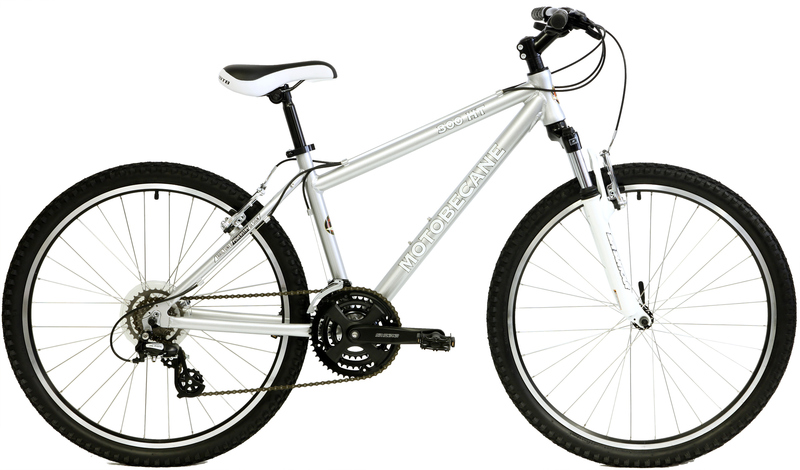 Choose larger for longer legs or higher handlebars. Choose smaller for more aggressive riding or short arms/legs. Cassette/Freewheel DNP LY-1108CKHC 11-32T-8 C.P. Bikes come up to 90 percent assembled. If you don't feel confident working on your bike, we suggest you take it to your local bike shop for final assembly & safety checks. How much Assembly? CLICK HERE to see sample assembly instructions and a video (scroll to bottom).